Plays and playwrights are not bound by time or geographically drawn borders. They speak to each other and influence each other across time and space. This course will focus on major playwrights, both historical and contemporary, of arguably the greatest theatrical tradition of all time – that of England, Ireland, and Scotland. From Shakespeare to writers like Synge, O’Casey, and Shaw to modern playwrights like Martin McDonagh, Carol Ann Duffy, David Hare and Caryl Churchill, we will look at what made those playwrights so influential in their own time as well as how they continue to influence contemporary writers. We will look at plays as literature on the page, and in performance on stage, as they are meant to be encountered. We will also visit key historical sites in order to greater understand the political and intellectual circumstances in which these writers were working and in which their successors continue to work. Special attention will be paid to Shakespeare as a writer for the stage and a man of the theatre, with visits to theatres to hear and see plays, backstage tours, and critical discussions of directorial, design, and acting choices. Plays to be studied are to be determined as productions are announced. David Hay, PhD, is a professor at the University of San Diego (USD) and is a co-founder of the MFA Program in Acting, a program he directed for seven years. He has also been the director of the Southeast San Diego Tutoring Program and the director of the Undergraduate Theatre Arts Program at USD. 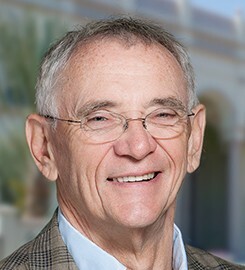 In addition to 26 years of work at USD, Dr. Hay was also an associate director at The Old Globe Theatre in San Diego for ten years, and for nine years was the artistic director of Center Repertory Company in Walnut Creek, CA. He has had a 32 year professional theatre career, directing more than 70 productions at theatres across the country. He has also published two books, a critical edition of a 17th century play, Nobody and Somebody, and a drama textbook, Contact With Drama, co-authored with James F. Howell. Professor Hay's photo courtesy of the University of San Diego. Students particiapting in this program will also need to complete the Theatre Alive Questionnaire. Please email your completed copy to enroll@iau.edu.